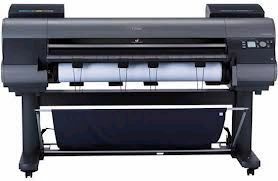 Canon are replacing their line up of Wide Format printers which are squarely aimed at the Graphics, Photographic and Fine Art Canvas printing segments. building on the success of the hugely popular 24-inch iPF6300, iPF6300s and iPF6350, along with the 44" iPF8300. Shipping is anticpated to begin in November or December 2012. More than a product refresh the new devices make some considerable improvements over the outgoing models with some key improvements to ink and also significantly in the case of the iPF6450the addition of a Spectrophotometer. Quality refinements have been put in place through a revised ink set which will offer more scratch resistancy, additional colour improvements include improved colour management and calibration systems. The addition of larger ink tanks on the 24-inch models (new models are also being launched in the 60" line up), and “hot swap” technology across all devices brings increased productivity & reduces the total cost of ownership. The Calibration Management Console (CCMC) software means that users can calibrate one machine & then replicate the results to their entire fleet (should they have multiple units). Canon have also utilised optical technology from their camera manufacturing to enhance the colour Density Sensor. The biggest change however is the launch of the new Spectrophotometer on the iPF6450. It has been especially developed for Canon by market leader X-Rite and we are told it is the only built-in Spectrophotometer, available in the market that is XRGA certified. The Colour Density Sensor, enables more precise colour reproduction by compensating for colour variations caused by such factors as the age and settings of the printer and allows users to create calibrations on thin paper at a fraction of the time it takes to do so with current technology.